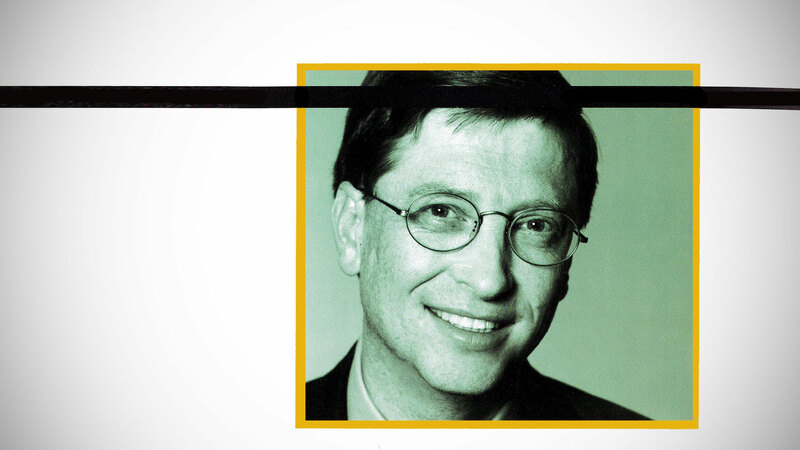 Whether you think of him as a pioneering genius of the digital age or as the quintessential capitalist, Bill Gates left an indelible mark on the 20th century. Born in Seattle, Washington, on October 28, 1955, he is the only son of William H. Gates II, a retired Seattle attorney, and his late wife, Mary. The Gates family had hopes that young William Henry III would follow in his father’s footsteps, but they soon found out that their son had plans and dreams of his own. Gates was a restless child with a gift and a passion for math and science. Still, he was generally uninterested in school at a young age. In order to bring some discipline to his life, his parents enrolled him in Seattle’s Lakeside School, a private school for boys. It was there that Gates discovered the world of computers. He became friends with Paul Allen and others who shared his passion for the sciences. In 1967, he and Allen spent long hours teaching themselves how to use the Teletype machine, which was connected to what was at the time a state-of-the-art computer system. The computers of the late 1960s were enormous, awkward machines that often filled a small room. Their insides consisted primarily of wires and assorted vacuum tubes. By today’s standards, these machines were very slow and difficult to use, and programming them was a tedious job. Gates and Allen, undaunted, developed programs that instructed these machines to organize a payroll for a small business, assemble a class schedule, play games, and perform other basic functions. Gates was convinced that computers could succeed in performing these and other tasks as long as the right instructions were given to it. In 1971, the world was introduced to the Intel 4004 microprocessor chip, which with its successors would replace the cumbersome vacuum tubes and wires and enable computer manufacturers to build smaller, cheaper, more versatile systems. This advance in technology allowed Gates to consider the possibility of “personal computers,” which he believed could be useful to everyone in business and at home. With the new microprocessor, Gates and Allen—still in high school—built the Traf-O-Data, a device that generated statistics on traffic flow for use in municipal planning. It gathered its information through a rubber tube that was placed over a street or highway. Though not a huge financial success, their Traf-O-Data company was the seed that eventually became the megacorporation we associate with Gates today. Gates entered Harvard University in 1973, where he continued to develop his interest in computers and computer programming. He and Allen formed a partnership under the name of Micro Soft (later to be renamed Microsoft) in the summer of 1976. Gates held on to his firm belief in the future of personal computing as he struggled to advance ideas and systems for a new industry. In a recent article, author John Heilemann wrote that “Gates is often credited, and justly so, with being among the first to discern that software could be the basis of an enterprise; with having appreciated that software, not hardware, was where the serious money would be made in personal computing” (“The Truth, the Whole Truth, and Nothing But the Truth,” Wired, November 2000). From what his colleagues say, Gates also desired to dominate the future of the entire computing industry. Gates dropped out of Harvard in 1977 to devote all his energies to Micro Soft. A few years later, in 1983, Allen resigned because of health problems. His exit left Gates at the helm of one of the fastest-growing companies in history. Microsoft grew from earnings of $400,000 in 1977 to nearly $20 billion for the fiscal year ending in June 1999. Some attribute this tremendous growth directly to Gates and his focused leadership ability. His supporters ascribe the great leaps in computer technology to his brilliance, genius in marketing and understated showmanship. They speak admiringly of Gates as one who has continually forged ahead to improve software technology so that it would be more powerful, cost effective and user-friendly. Critics, on the other hand, claim that Gates has engineered a stranglehold over the entire industry with his ideas and products. He and Microsoft have faced numerous allegations of unethical business practices, copyright infringement and monopolistic tendencies. Even now, Gates and Microsoft are the subjects of an ongoing legal battle with industry competitors and the U.S. Justice Department. Despite these challenges, Gates appears undaunted in his quest for preeminence. Only time will determine what impact these legal challenges will have on his company—and on Gates himself. For the time being, Microsoft remains the dominant power in the software industry. Although it’s an ever changing industry, Gates does not foresee an end to the need for personal computers. He recently wrote: “The PC has given the average American the kind of computing power that 10 years ago was found only in large corporations. Yet people now take this for granted—and want more” (“Why the PC Will Not Die,” Newsweek, May 31, 1999). Still, at a recent Seattle seminar, Gates admitted that “computers can do little to solve the planet’s gravest social ills. ‘The world’s poorest two billion people desperately need healthcare, not laptops,’ he said” (Edward Helmore and Robin McKie, “Gates Loses Faith in Computers,” London Observer, November 5, 2000). In keeping with this sentiment, Gates, who is billed as one of the richest men in the world, is involved in a number of philanthropic initiatives around the world. He and his wife have organized the Bill and Melinda Gates Foundation, giving millions of dollars to organizations involved with health, learning, and various community projects.